There’s not much to report from my final recovery day here in Satu Mare. 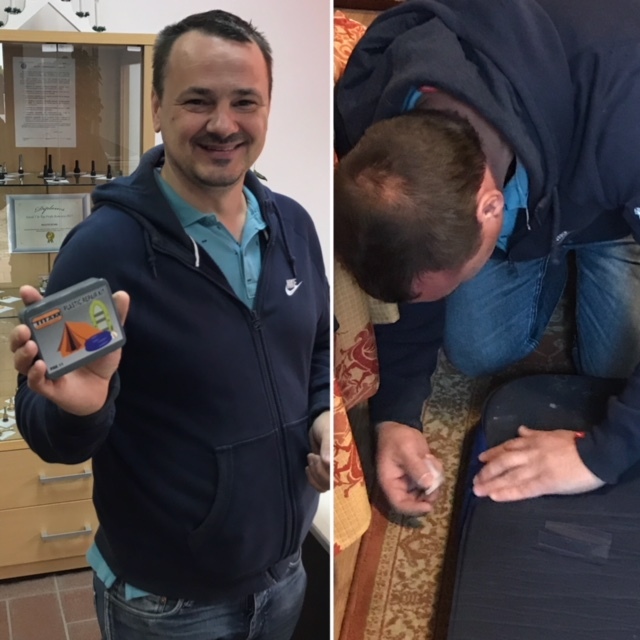 The day did start on a positive note with Manuel, the owner of Vila Tineretului where I’m staying, taking me to get a patch and glue to fix my mattress. It worked a treat! Thanks go to Manuel for his help. I’ve really enjoyed resting at the hotel and Chappie has had a safe place to stay too. I spent some time checking and packing my kit this afternoon ready to put it all into Chappie in the morning. I’ll be heading off between 0800 and 0845 tomorrow. I will cross into Ukraine tomorrow evening or early on Friday. The weather forecast isn’t great and this may hamper my progress. 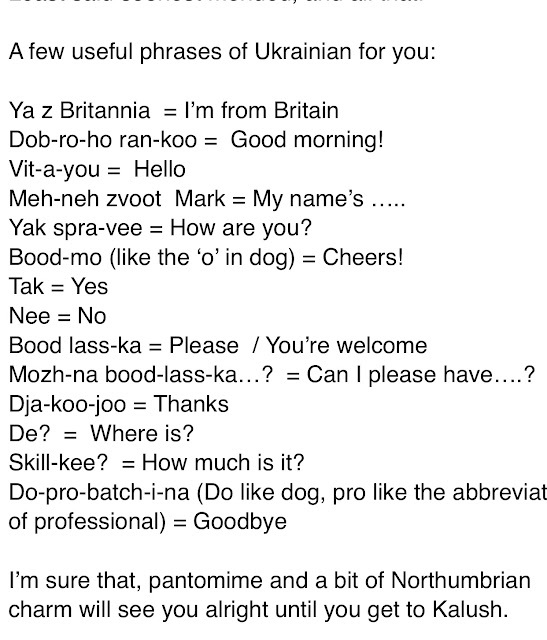 I received a few emails from an ex pat called Michael in Kyiv today. He has been helping to setup various school visits in Ukraine over the last few months. He has also managed to get Donna and me some accommodation for a week in Kyiv. Donna is flying in on the 24th July. It’s her birthday so I mustn’t be late! Kyiv is 500 miles (800km) away from my current position. There’s a lot of effort to put in between now and then! Michael included the following phrases in his email. Thanks to Michael for all of his help and guidance. You may notice that tickets for the Around The World Ball are now available to order on www.rungeordierun.com. It promises to be a great night and I’m looking forward to sharing many tales of my adventures with those in attendance. 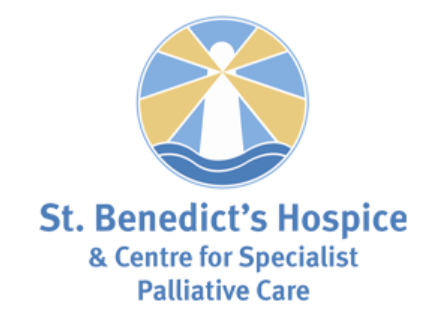 Of course, all funds raised on the night will go to St Benedict’s Hospice. 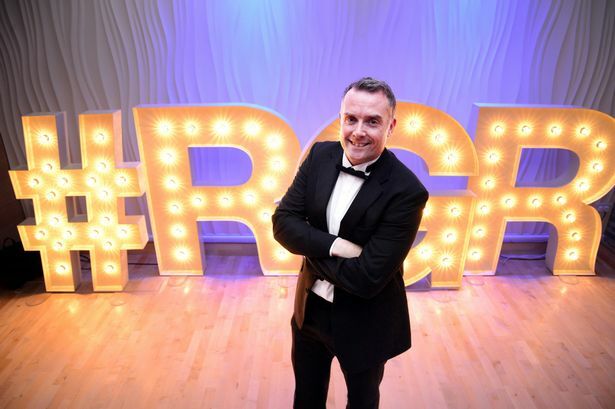 The ball will be hosted by my good friends, Gary and Lisa from the BBC. They have been involved with my fundraising since the run across the USA in 2011. We have some really good items lined up on the night. I’m looking forward to what I hope will be another sold out event. That’s all for now. Tomorrow is day 22 of stage 5 of the run Around The World. I have 7 days to reach Kalush in Ukraine. It’s a 150 mile stretch and I’m looking forward to sharing the journey with you.